Head Size 105 sq. in. Features a square-shaped ISOMETRIC frame. Offers impressive controlled power, speed, and enhanced spin capability. The VCore SV 105 is the most powerful and forgiving racquet in the lineup, providing an excellent platform for beginners and any player looking for maximum power in the easiest to swing weight class. The 105 may be light weight, but not on features. Its’ SV frame design uses Nanometric XT carbon for improved dwell time and a more aerodynamic beam shape overall. The racquet also benefits from AeroFin technology, a series of grooves designed to reduce drag as the frame cuts through the air. Here’s an inside look at the on court performance of the latest light weight offering from Yonex. 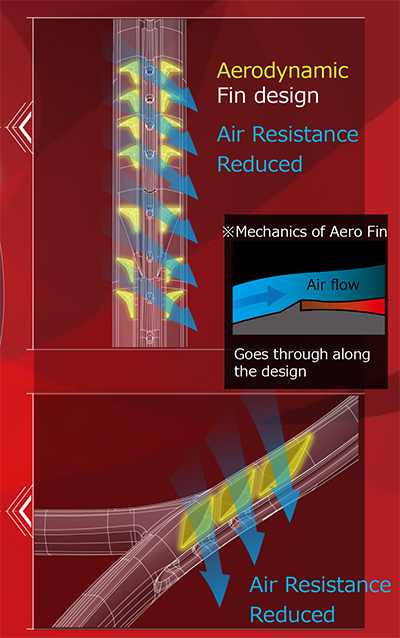 Aero Fin - Aerodynamic fins that were featured in the VCORE SV have also been upgraded and positioned towards the bottom of the VCORE’s frame. The new Aero Fins are strategically carved out sections that allow for improved maneuverability. SV Frame - The VCORE SV’s innovative SV Frame design allows players to get a firm grip on the ball and launch it effectively. The inside of the upper portion of the frame has been equipped with our new NANOMETRIC XT carbon. Boasting greatly increased flex over typical carbon, NANOMETRIC XT improves ball pocketing, gripping the ball for 4% longer than conventional racquets. 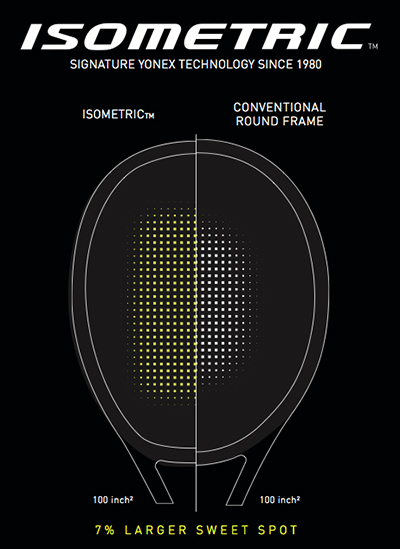 Meanwhile, the aero shape of the racquet frame shoulder provides extra torque, improving repulsion by 2%. To Win the Game you also need good Tennis Shoes, how to choose the best tennis shoes can be read in this Guide.